Your email below is emblematic of the core issue we raised during our meeting regarding the expanding gaps in vaccine safety science and HHS’s refusal to fill those gaps. During our two-hour meeting with White House and senior HHS officials, we laid out some of the significant deficiencies in safety testing and surveillance (both pre and post licensure) and the well-documented conflicts of interest at CDC and FDA that prevent those agencies from addressing these issues, including their refusal to mandate the kind of fundamental safety studies it requires of every other pharmaceutical product. True to that concern, rather than proposing solutions to address even a single of these deficits, your response attempts to justify the assertion that basic vaccine safety science simply cannot be performed. This is particularly troubling as you are the head of the Federal Government Task Force responsible for recommending to the Secretary of HHS ways to improve vaccine safety, including safety testing and monitoring. Your claim that the Institute of Medicine (“IOM”) has found that the VSD database cannot be used to study vaccinated versus unvaccinated children is simply untrue. In fact, IOM specifically concluded, in the very report you cite, that such a study was possible: “some stakeholders have suggested that further research is warranted, such as a comparison of vaccinated children with unvaccinated children or children immunized on alternative schedules. It is possible to make this comparison through analyses of patient information contained in large databases such as VSD.” (The Childhood Immunization Schedule and Safety, 2013 at p. 13 see nap.edu/read/13563/chapter/1) That report even provides that: “The most feasible approach to studying the safety of the childhood immunization schedule is through analyses of data obtained by VSD.” (Id. at p. 9.) Your irrelevant quote from the same IOM report merely concerns the IOM’s analysis of a potential prospective cohort study (i.e., randomized controlled trial) of small isolated populations. The quote you cited has no bearing on our proposed retrospective study utilizing the VSD. The purpose of the VSD is to provide a repository of information to assess vaccine safety. American taxpayers pay a reported $27 million annually to maintain the VSD for this purpose. Are you really now claiming that the archival methodologies employed by the agency under your leadership have rendered the VSD inadequate to that purpose? Are you also really arguing that the brain trust at NIH cannot devise a way to take the same safety precautions for vaccines that are required for every single drug: compare the actual health outcomes of those receiving vaccines with those that have not received vaccines? The Secretary shall establish a task force on safer childhood vaccines which shall consist of the Director of the NIH, the Commissioner of the FDA, and the Director of the CDC. The Director of the of the NIH shall serve as chairman of the task force … [and] shall prepare recommendations to the Secretary [of HHS] concerning implementation of the requirements of subsection (a) … [to] promote the development of childhood vaccines that result in fewer and less serious adverse reactions … [Dec. 22, 1987] and promote the refinement of such vaccines, and (2) make or assure improvements in, and otherwise use the authorities of the Secretary with respect to, the licensing, manufacturing, processing, testing, labeling, warning, use instructions, distribution, storage, administration, field surveillance, adverse reaction reporting, … and research on vaccines, in order to reduce the risks of adverse reactions to vaccines. (42 U.S.C. § 300aa-27.) This law clearly makes you the person responsible for developing recommendations, in all manner and form, to the HHS Secretary to improve vaccine safety. Your follow-up below seeking to avoid the most basic study of vaccine safety raises questions regarding your commitment to the foregoing responsibilities. 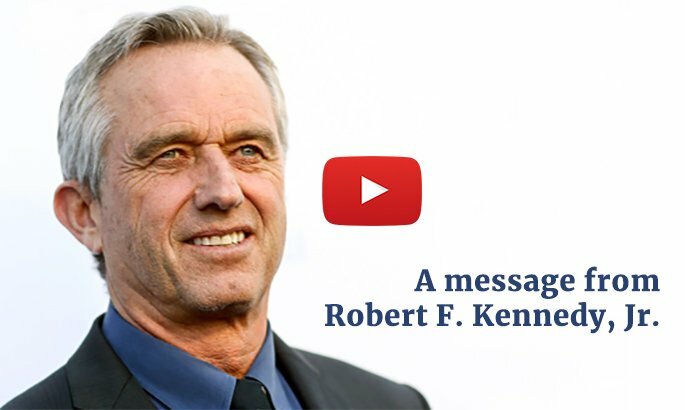 Thus, we ask that you provide written copies of all recommendations to improve vaccine safety you have made to the Secretary of HHS while serving as the Director of NIH. 3. Pre-Licensure Safety Testing. During our meeting, we discussed several issues regarding pre-licensure safety testing for vaccines and await the additional support/explanation you and your team claimed existed. During our meeting you promised to provide us copies of these items. a. Safety Data for Hepatitis B Vaccine Given to 1 Day Olds: During the meeting, Dr. Fauci intimated that there was pre-licensure safety testing of the two Hepatitis B vaccines given to one day old babies in the United States (Engerix and Recombivax) beyond the four and five day safety reviews disclosed by their manufacturers. If Dr. Fauci’s statement is true, it’s hard to understand why the manufacturers would withhold this information from the public on their package inserts and websites. Nonetheless, we accept Dr. Faurci at his word, yet we still have not received from you the purported additional pre-licensure safety data for Engerix and Recombivax. When do you intend to provide that information? b. HPV Licensing Study Saline Placebo Data. As discussed during our meeting, the pre-licensure clinical trial for the HPV vaccine had a subject group (that received the HPV vaccine) and two control groups, one which received an injection of aluminum adjuvant (implicated in all forms of systemic autoimmune disorders) and another group that received a saline placebo. The differences between all three groups were reported for local reactions but for systemic autoimmune disorders, the data for the aluminum adjuvant and saline placebo groups were combined, hence concealing the actual systemic autoimmune adverse vaccine reaction rates between the HPV vaccine and the saline placebo groups. You stated with confidence that breaking down the systemic autoimmune disorder rate between these two control groups would not show a difference. As we answered at that time, we prefer to rely on the data rather than opinion or assumption, and hence would like to see the data. You indicated that you would provide it. We still have not received this information from you. To reiterate, we want to see the pre-licensure clinical trial data for the HPV vaccine, including all data reflecting the rate of systemic autoimmune disorders between the subject, aluminum-adjuvant-control and saline-control groups. When do you expect to provide us with this data? c. Lack of Saline Placebo in Vaccine Clinical Trials. You vigorously defended the inadequate and scientifically invalid use of an aluminum adjuvant or another vaccine as a placebo in pre-licensure vaccine clinical trials. When we pointed out that the use of a potent neurotoxin or another vaccine instead of a true inert placebo in the control group would conceal dangerous side effects caused by the vaccine, you replied that you considered it “a brilliant design.” I respectfully find that statement astounding. At best, using a spiked-aluminum-adjuvant or another vaccine as a placebo instead of an inert-saline-placebo (used in the clinical trial of every other drug) violates several standards of basic scientific protocols for drug testing. Please explain how the actual safety profile of a vaccine can be determined from a clinical trial that does not use a saline placebo control? 4. 134 Serious Common Adverse Reactions Reported Following Vaccination. As discussed during the presentation, the IOM in 2011 reviewed the 155 most common serious adverse reactions complained of in the Vaccine Court and concluded that for 134 of these the science had not been done by HHS to confirm whether they are causally related to vaccination. The HHS is statutorily required to conduct such science. What steps have you taken or are you taking to confirm whether or not these 134 serious, and often devastating, conditions are causally related to vaccination? 5. CDC Refusal to Cooperate to Automate VAERS Reporting. We brought to your attention during the meeting that, in 2010, the CDC refused to cooperate with a program to create a system to improve and automate reports submitted to the Vaccine Adverse Events Reporting System (“VAERS”) — CDC’s flawed passive/voluntary system for reporting vaccine injuries. HHS acknowledges that VAERS currently captures fewer than 1 percent of vaccine injuries. We showed you that another HHS agency spent nearly $1 million to create a pilot system that would automatically generate VAERS reports from electronic hospital records. The consulting group successfully implemented this pilot system at Harvard Pilgrim Health Care. After this pilot system was proven to work, and showed a shocking vaccine injury rate of nearly 10 percent, CDC cut off all contact with its designers and shut down the program. You indicated you could provide an explanation for the CDC’s actions. When do you intend to provide that explanation? 6. Thimerosal. During the month leading up to our meeting, we agreed to exchange published studies supporting our divergent positions on thimerosal safety. In accordance with that agreement, we provided you with 189 studies and reviews linking thimerosal to a range of neurodevelopmental and chronic diseases that have become epidemic in American children since the dramatic expansion of the vaccine program in 1989. We also gave you an additional 89 studies and reviews specifically linking thimerosal to autism. In turn, you provided us a list of random vaccine safety studies created by an industry advocacy group. Almost all these studies were pertinent to the MMR vaccine or other vaccines that do not contain thimerosal. Despite our repeated requests, you have not been able to produce a single study that demonstrates thimerosal safety. When I pressed you on this issue during our meeting you directed this question to the entire upper level NIH staff. NIH top officials and scientists were able to reference only a single study, Mady Hornig’s study. (Horning et al. 2004 Mol Psychiatry 9:833). However, as I pointed out at that time, Hornig showed that she could induce autism like behaviors in mice by injecting them with thimerosal. That study, therefore, hardly supports your position. I once again renew my request that you provide us the studies that FDA relies upon to justify the continued unnecessary injection of this known neurotoxin into babies and pregnant women. a. Claim Vaccines Do Not Cause Autism. As with most vaccines (other than MMR) there has not been a single study regarding whether DTaP causes autism. For example, the IOM in a 2011 report stated that the IOM could not confirm whether DTaP causes autism because no science had been done on that point. Nevertheless, the HHS baldly claims that all “Vaccines Do Not Cause Autism.” Therefore, can you please explain how HHS claims that vaccines do not cause autism when it does not know whether DTaP causes autism? b. Genetics Research Re: Autism at NIH: The NIH’s focus regarding autism concerns efforts to find genetic causes and not environmental causes for the condition. If autism was primarily the result of genetics, rather than some change in the environment, one would expect that the autism rate would have remained relatively steady over the centuries. It is the position of the NIH that autism has remained relatively stead over the past few centuries? 8. Reducing Conflicts of Interest in Vaccine Policy: During our meeting we reviewed government reports documenting conflicts of interest in vaccine safety at HHS and hence requested support for the following: (a) prohibiting any conflict-of-interest waivers for members of HHS’s vaccine committees (ACIP, VRBPAC, NVAC and ACCV), (b) requiring members of HHS’s vaccine committees to contractually agree not to accept any compensation, directly or indirectly, from any vaccine manufacturer for at least five years, and/or (c) require that vaccine-safety-advocates comprise at least fifty percent of HHS’s vaccine committees. Please inform us whether you support these options, or any other options, for limiting or eliminating the conflicts of interest on the HHS vaccine committees? conduct studies of the vaccine schedule to determine whether or not it is contributing, and to what degree, to the massive upsurge in childhood immunological and neurological disorders. Your follow-up email below to the foregoing requests simply stated that HHS can’t test vaccines retrospectively, and can’t monitor them prospectively. Given the inadequate pre-licensure safety testing that is conducted and lack of post-licensure surveillance, your response presents the inevitable conclusion that families just have to accept vaccines developed and administered in a scientific cloak of darkness. What will America think when they learn that the “leaders” of medical science in this country cannot design a study to understand how vaccines may be affecting their overall health. It is apparent that you have, at best, the most meager and anemic scientific basis for your assertion that vaccines are not contributing to the upsurge in childhood immunological and neurological disorders currently impacting over fifty percent of American children. Given the gravity of this issue, shouldn’t we undertake the more robust science the IOM and other serious organizations has doggedly requested of you and other HHS agencies. The concern in this country over vaccine safety and distrust of the HHS regarding vaccines is growing. That trend is likely to continue until HHS increases its transparency in this arena. The first step in restoring integrity and credibility to the vaccine program would be to provide thoughtful answers to the foregoing questions along with the basic documents and data regarding vaccine safety that we have requested. We look forward to receiving your timely reply.